Tim Haines is ready to take on all those odd jobs you don’t have the time or, maybe, the necessary skills to complete. Tim is a reliable and skilled tradesman who will give you a quality finish at a competitive price. It all starts with just one phone call. Don’t put it off any longer…. Tim is a member of the Hampshire County Council ‘Buy with Confidence‘ approved traders scheme. Click here to check Tim’s claims and for more details of the scheme. 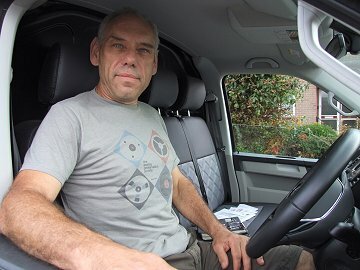 Tim covers Eastleigh, Winchester and the surrounding villages including Twyford, Littleton, Sparsholt, Stockbridge, Alresford, Hursley, Chandlers Ford and Kingsworthy. The Winchester Handyman will provide interior and exterior home and office maintenance including: plumbing, roof repairs, guttering and fascias, chimney cowls, woodwork repairs. Tim also assembles and repairs sheds. Other services include: electrical fittings, carpentry, locks changed, decorating and other house maintenance. Tim will fit your new kitchen, bedroom or bathroom. In fact, no job is too small.